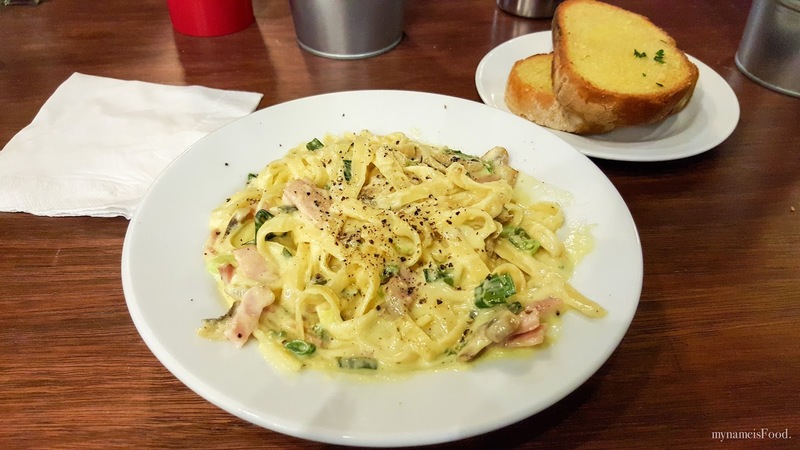 The Italian Bowl, Newtown, Sydney - my name is Food. Newtown, a place I rarely go when in Sydney but since we were in the area walking around and having a wander, we thought we'd find a place to have dinner. Walking past a very crowded Italian restaurant and M did say that she has heard that it was a treat here, we thought, well, we don't have anything to lose other than the queue, why not? A casual spot for a big pasta bowl filled with goodness, warmth and where you can even sit at the counter watching your dish being cooked right in front of you. 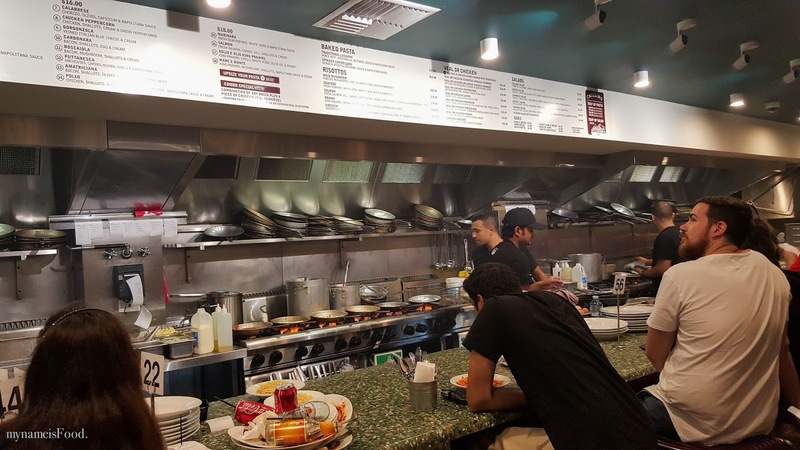 Having a concept similar to a fast food restaurant, customers place their orders at the counter and pay first before being served on the table. 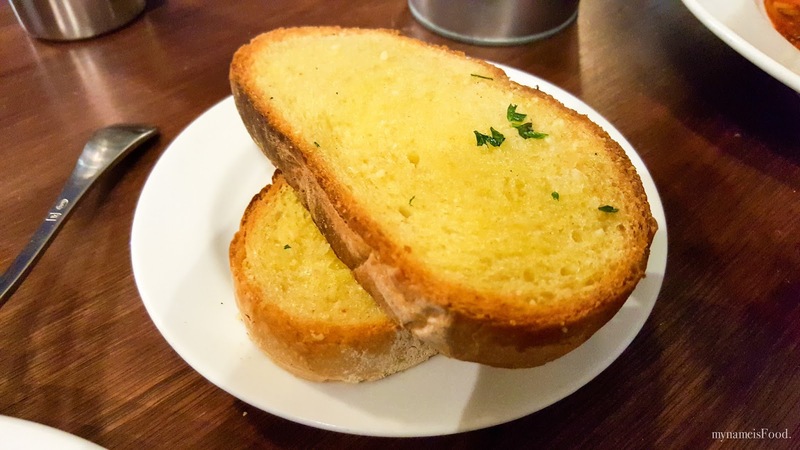 'Garlic Bread' (AUD$3) , a thick slice of bread smeared with garlic butter. The way it works is that before choosing your sauce for your pasta dish, you choose what type of pasta you would like. Such as Fettucine, Spaghetti, Beef Tortellini or Potato Gnocchi etc. 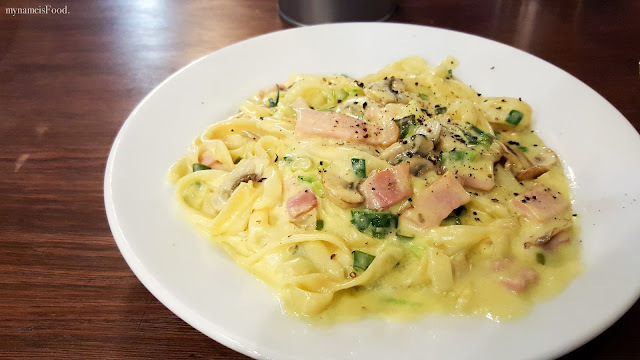 I was wanting a creamy base pasta during the night for which I opted for 'Boscaiola' (AUD$16), a classic indeed but if a restaurant can nail a classic and basic dish, then the rest may be as good or better. 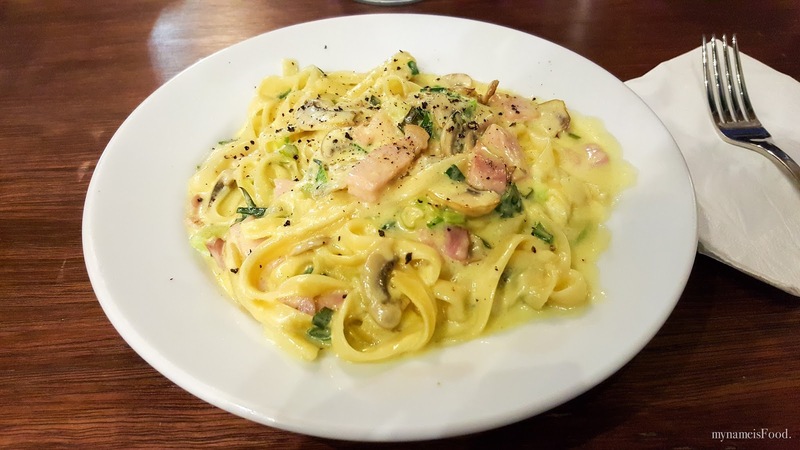 Choosing fettucine as the pasta base allows the pasta to absorb all the cream as well as the egg, the bacon and shallots gives the dish an extra saltiness and a pop of colour. With a dash of cracked pepper on top, do give it a good mix as you will feel that the dish is actually bigger than your normal portion of a main or an entree size. Very generous I have to say in portion, taste wise, it does hit the mark in terms of price, portion as well as taste. 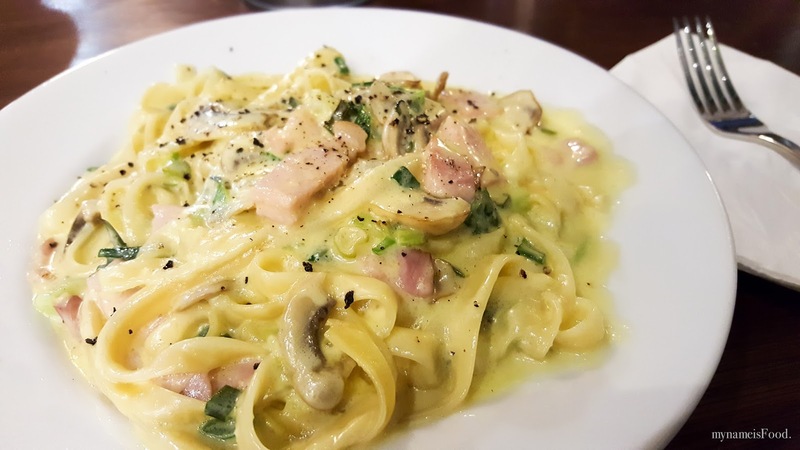 Its similarity to Carbonara is very slim with only having the extra mushrooms and the difference that it does not consist of any eggs, just simply cream instead. 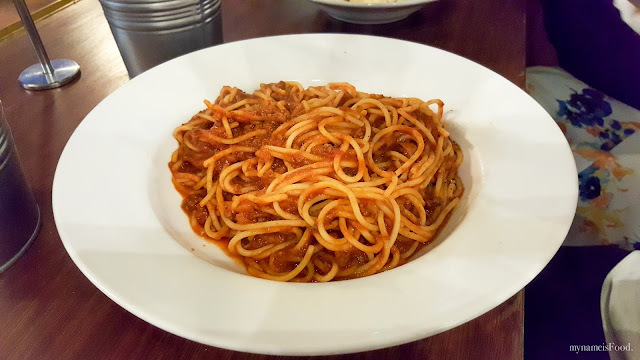 'Bolognese' (AUD$14), a traditional pasta dish served with Spaghetti. You do not get any simpler than this, but again, what big portions they give out and for its price, I do have to say that you may not be able to get such quality and portion in Brissie, not that I can find so far anyway..